The holiday home for 4 persons has a bathroom and a bedroom. The holiday home is equipped with a TV and a phone. In addition there is a terrace, a jacuzzi, an elevator and an air conditioner. The holiday home has a Internet connection (wireless). The kitchen is equipped with an oven. On 100 meter of 1 BDR Sea view suite 115 you will find one or more restaurants. In addition, there is a lake/open water less than 4 kilometer. You can shop in Gzira on 100 meter from your holiday home. There is also a mall nearby, in 100 meter. Want even more activities? The nearby area features shopping, play tennis, golfing and your holiday home's surroundings features fitness. You can also relax, because near 1 BDR Sea view suite 115 in Gzira you can go to the beach or the water. To check the exact price, select an arrival date below. You may see possible extra costs or optional on-site costs below the calendar. 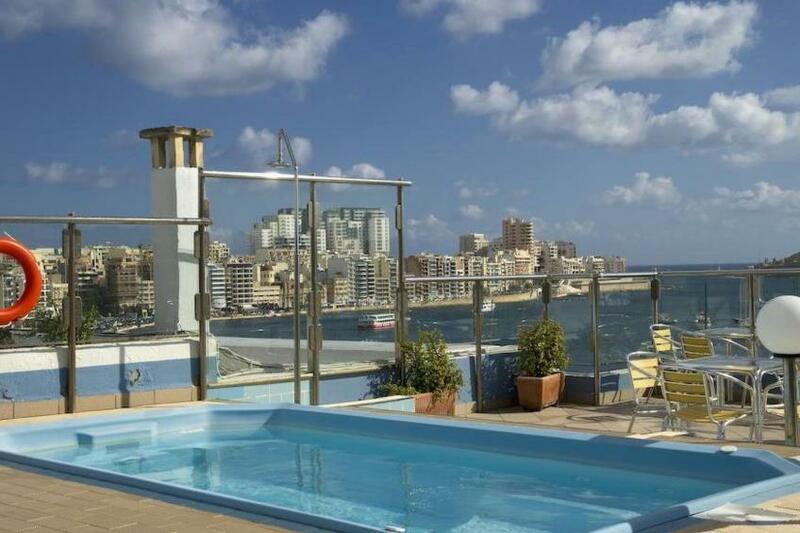 In the calendar below, you can see whether 1 BDR Sea view suite 115 in Gzira is available. The remaining available arrival dates are marked with dark green. The light green highlighting indicates the dates when you can stay in this home. The dates marked in red indicate that the property is already occupied, while gray-marked dates indicate that their availability is not yet known. The list below shows the available periods and the prices. You can easily make your reservation using the 'Book now' button over our secure connection; all your information will be handled carefully. Deviating periods during the high season (such as summer holiday and New Year) can only be requested by the landlord two weeks before the intended arrival date. Until that time it is only possible to stay at the periods indicated below. If you have any questions about this holiday home or need help with making a reservation, please feel free to contact us. We depend on the landlord to determine the availability and prices of a property. Due to this fact it may sometimes happen that we do not know if and when the holiday home may be available for rental. We can assist you via the availability alert to receive an email the moment the availability and associated prices are known to us. Thank you for subscribing. We will notify you once the availability for the desired date is known to us.